choose a solution that will address their stakeholder’s criteria for systems excellence while maintaining the integrity of the system. Sales addresses one of these jobs, but not the other. In fact, we’ve never been taught the skills to help with the off-line issues buyers address: as per the explanations and skills offered in my new book Dirty Little Secrets, helping buyers maneuver through their off-line buy-in issues requires a wholly different skill set. We need to have the ability to be a GPS system for our buyers. You see, they need to meander through all of the internal systems issues that created their problem to begin with, to get to the route cause, figure out how it got there and has been maintained over time, and address all of the elements that hold it in place daily so that a new resolution can enter without fallout, without sabotage, and with acceptance and support. As a simple example, let’s use fitness. Let’s say I’m not working out as often as I should. Getting good data about a gym, understanding why I’m not working out, or knowing that there are great trainers available to help me get fit, doesn’t address my baseline issues. I will not only have to figure out what has stopped me from working out and being fit until now, but I’ll have to manage some unconscious, unknown ‘stuff’ that has allowed me to ignore the gym issue until now. How do I currently handle my belief that I’m a healthy person if I only do those activities that make me comfortable? What has stopped me from attending the gym until now? And what sort of shift would I need to make to change my internal view of myself? What other issues do I need to manage to become a healthy person (i.e. eating issues, family issues, time issues, social issues) and what has stopped me from managing these until now? As sellers, we treat the ‘need’ as if it were an isolated event and have no way to help buyers manage the off-line issues they must privately address as they consider changing to excellence. And, when we attempt to ‘understand’ what’s going on, it’s akin to you trying to understand why I choose to get up at 6:30 a.m. instead of 5:30 to get to the gym— and then attempting to convince me to do what would get me to the gym, rather than supporting me in managing my beliefs about my family obligations that you cannot influence because you are an outsider. Indeed, we cannot – and should not – understand these personal, internal dynamics. But we can help buyers understand them. After all, until they do, and until they address them, they will do nothing, and we will sit and wait and wait until they do. We have waited helplessly in the mystery of what buyers do for decades, if not centuries. We can use a different skill set to help buyers maneuver through their first steps. We cannot be there when they have to have those private meetings, or have an argument with the tech team, or handle a 3-year-old vendor issue, but knowing the environment – the system, if you will – that must be attained, generally speaking, before a buyer can buy, we can add a new skill set to our sales skills, and help buyers buy. 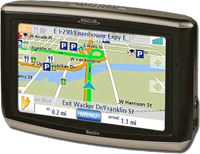 Think of the first decision issues as a GPS system understands the route. One mile, two left turns, etc. Think of the prospect as the driver who has to get somewhere (and who has not used a GPS system before, getting lost frequently but getting there eventually), the car as the system of internal, private issues that are on a journey and that will eventually find the ‘party,’ and the destination as the place you can sell your product. The GPS system can’t know the scenery, or the fact that the car had been in an accident the day before. But it clearly understands what the generic route to excellence looks like and continues to know the route to the destination even after the driver has stopped for gas. When we attempt to use our sales skills at the wrong time in the buyer’s decision cycle – and almost all buyers come to us well, well before they have figured out their route – we are helping buyers delay their purchasing decision, opening us up for objections and competition and money issues. Sales only manages half of the buying decision process. For the initial issues buyers must manage, become the GPS system to help them navigate through their systems issues so they can buy. And with you as the decision facilitator, they will incorporate you into their solution design in half the time, with no competition or proposals or objections. My new book will explain the buyer’s route, and offer new skill sets for you to help them buy. If you buy it before Oct 29, you’ll get freebies from wonderful sales luminaries. Not to mention you’ll learn how to reduce your sale cycle by half, and be ahead of your competitors. There is still time to get the freebies for: Dirty Little Secrets: why buyers can’t buy and sellers can’t sell and what to do about it. Check out the site for more details. Or consider purchasing the bundle: Dirty Little Secrets plus my last book Buying Facilitation™: the new way to sell that influences and expands decisions. These books were written to be read together, as they offer the full complement of concepts to help you learn and understand Buying Facilitation™ – the new skill set that gives you the ability to lead buyers through their buying decisions. You still get the freebies with the bundle order.